Beijing clearly shows that China is progressing rapidly with the rest of the world, as architecture, transportation, and technology are cutting-edge. Juxtaposed with the contemporary lifestyle, however, is an ever-present sense of the country’s history. Buildings and structures from the Ming dynasty sit among high-rise apartment buildings, and the Forbidden City sits in the middle of the city as a reminder of the past. In almost every one of the conversations we have had and the presentations that have been delivered to us, the local people of Beijing have all mentioned their history in some way or another. The modern education system still reflects the early days of Confucius, as does the strong emphasis on learning and intelligence as a key virtue in modern society. Also hidden among the modern buildings and ways of life, including the occasional western fast-food restaurant, are the Hutongs, the traditional neighborhoods that reflect hundreds of years of the Chinese lifestyle. 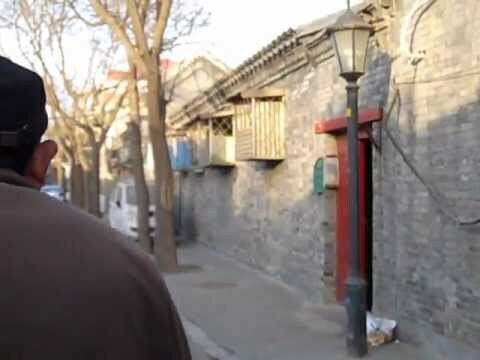 Even though our tour guide at the Hutong no longer lives there, the history of her family was very important to her and her current way of life, and to the way she envisions the future. We had an opportunity to ride through the village streets in rickshaws, a real adventure (see video). We also learned from various people about Feng Shui being incorporated into architecture and daily life, and Yin and Yang as the underlying foundation of cooking and many other daily aspects. These are ancient principles that are still incorporated regularly, even in a modern city like Beijing. Chinese people take great pride in their heritage. Their history is alive for them, and they incorporate lessons, teachings, and practices daily that were established hundreds or even thousands of years ago. The culture has a history of 5,000 years, and it means a great deal to the Chinese people. History is not simply the collection of facts written in the textbooks; it is clearly part of who they are. This is Beijing National Stadium, AKA the Bird’s Nest, the structure that was created for the 2008 Olympics. Since the Olympics, the people of Beijing have been using the building frequently. They can come here for concerts, sporting events, and even indoor skiing! The area around it is used daily as an open park space for the community. 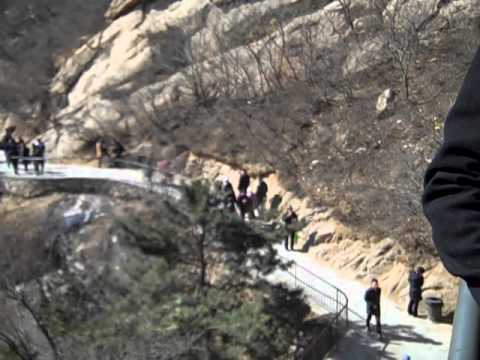 Our group hiked the Great Wall of China at Badaling. This section of the wall was built during the Ming Dynasty, between 1368 and 1644. It was amazing to climb the steps and enjoy the incredible scenery from the vantage point of this man-made world wonder. (See video below – expand to full screen by clicking on square in the bottom right corner). 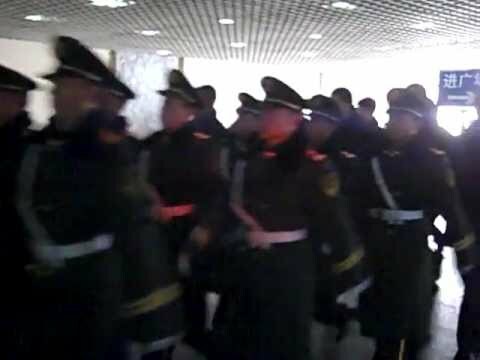 For some of us, of all of the cities, Beijing had the most “military” or “government” feel. This should not be surprising given that it is the national capital, but the military presence was palpable (see video). 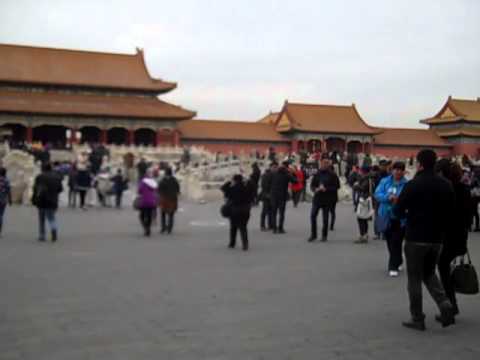 Just outside of the Forbidden City is Tiananmen Square, gathering place for millions and scene of the tragic Tiananmen Square massacre of students and civilians in 1989. Information about the student protests (called “riots” by the government) is forbidden by the Chinese government, therefore it is unknown as to how many people were killed in the military crackdown. The estimates are between hundreds and thousands. We also had an opportunity to visit the Summer Palace, which was built by the Yuan dynasty (before the Ming dynasty), about 800 years ago. In the 1890s the Summer Palace was rebuilt using the country’s funds for Emperor Dowager Cixi, or “Dragon Lady”, who ruled China unofficially (from 1861-1908) and behind the scenes for her young son after the Emperor’s death. We were told on several occasions that the 1892 invasion of the Japanese was a result of inadequate funds to prepare the national navy. Dragon Lady had used the funds to restore the palace. Jasmine – good for the liver, and the tea leaves alone are good for dark circles under your eyes, which we needed for this trip! Dr. LIU Baocun gave us a comprehensive lecture on the history of higher education in China, current challenges, and goals. China’s long history with high-stakes testing began in 587 with the imperial civil examination. Students had to pass several exams – the county exam in order to have a chance to study at the local public school, the provincial, given every 3 years to have a chance to take the next level exam (capital); the capital exam (only 300 in whole country passed), also every 3 years to have a chance to advance to the next level; and finally, the coveted Emperor Exam, which the Emperor himself administered. Those who passed this exam became wealthy and influential governors of provinces and cities – their names were posted on a golden list, thus listed “on the golden list”. In all of China’s history, there have only been 98,749 students to pass the Emperor Exam – that is 1,300 years’ worth of testing! We really enjoyed putting these facts together with our cultural visit to the Forbidden City. We saw the gate where the students who passed the exam entered. The modern Chinese university (since 1892) has endured several major transitions. The Japanese higher education model was adopted in the late 1800s. China transitioned from the Japanese model to the German model, then to a U.S. model, then to a Soviet model, all by 1952. The Cultural Revolution (1966-1976) deeply affected and set back higher education. Dr. LIU told us that during those 10 years, high school graduates were not allowed to even enter the gates of a university. They were moved to the rural areas to switch places with farmers and other rural dwellers. Many universities were forced to close. reconsider the college entrance exam. Engaging in such a comprehensive view of the past, present, and future of the Chinese higher education system at the beginning of our trip was a real advantage for us. Dr. LIU’s lecture laid the foundation of our understanding of Chinese higher education for the rest of the trip. Would you like to learn more about Beijing and the other cities on our trip? Click here to visit Jess’s travel journal!